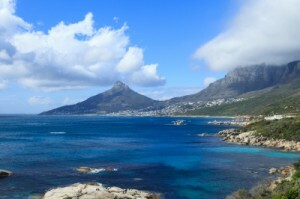 Spend time with the family in Cape Town this Easter long weekend, with Thompsons Holidays. Hit the road for a mini break and experience the splendour of the Cape – the Monday after Easter is a public holiday. Call the Protea Hotel Cape Castle home for three days. Gone are the days of traditional inns, this lifestyle-orientated hotel, on the Waterfront offers large, airy apartments that make you feel right at home. With bonus benefits like free Wi-Fi and 2 children under the age of 12 staying for free, you can really turn this mini break into a family one. Prices include 3 nights’ accommodation at the first class (according to Thompsons Hotel Grading) Protea Hotel Cape Castle in a standard room. Enjoy the holiday from as little as R1 553 per person sharing, self-drive. For more detailed information on all the available options and prices, log on to Thompsons Holidays.